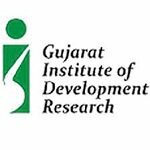 The Gujarat Institute of Development Research (GIDR), a premier social science research institute recognized by the Indian Council of Social Science Research (ICSSR) and supported by both the ICSSR and Government of Gujarat and affiliated with Maharaja Krishnakumarsinhji Bhavnagar University, Bhavnagar, seeks application from the eligible candidates for the two ICSSR Doctoral Fellowships in Economics for the year 2018-19. These fellowships will be sponsored by ICSSR for two years. How to Apply: Completed application forms should be addressed to the Director, Gujarat Institute of Development Research, Near Gota Flyover, Gota, Ahmedabad 380 060 and should reach GIDR on or before September 7, 2018. The envelope needs to superscribe “Application for ICSSR Doctoral Fellowship 2018-2019”. A soft copy of the duly completed application form along with scanned copies of the enclosures should also be submitted before 5.00 p.m. on September 7, 2018, to phdadmission@gidr.ac.in.